What’s it do? Probably everything that Durametric Pro does for a fraction of the price, with unlimited number of cars – and software for LOTS of other car manufacturers. A much more universal tool, having detailed diagnostics for our Cayennes. Cost – $158. With a choice of 5 car manufacturers software included. 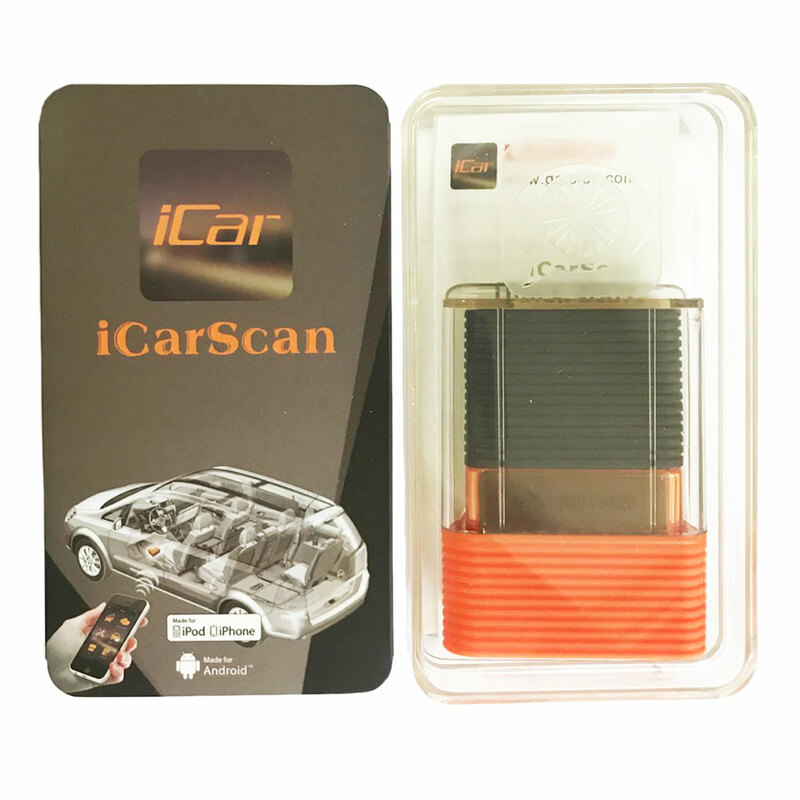 It uses the “Launch” software package – and they are a very well known maker of high-price diagnostics tools. I own a Durametric. I haven’t used it in about a year – since I got the ICARSCAN. ICarScan is much easier to use than the Durametric since it works with my Android smartphone, no need to boot up a computer and plug it into the computer. It connects via Bluetooth to the phone. I carry it in the Cayenne since it’s tiny and can be used anytime I have my phone along (about 100% of the time.) So far I haven’t found anything I can’t do with it that could be done with the Porsche Piwis ii. Doesn’t mean there isn’t – but I haven’t found it yet. It resets all the different service reminders. Resets adaptatations. Reads out real-time values and can plot them. Can read and clear codes stored in any of the vehicle modules. DISCLAIMER: I get nothing for posting this except hoping to encourage the company to continue producing it, since that means there will be software updates for the one I already own. I like it. I think it’s good value. YMMV – but I don’t think so. ADDITIONAL INFO: (05/05/17) People have reported that the iOS application apparently is difficult to impossible to get working. Before buying Launch X431 Scan Tool – if all you have is an iPhone – I’d suggest reading the thread and talking to some of the people who have tried it on iOS. Other people have mentioned success or difficulty getting the Android application working. I suspect part of the problem is the number of versions of Android on the user market. If you’re using an Android phone, or tablet – it might be worth checking or asking who got it working with what. I also should note – it appears I’m running an earlier version of the software on my Android phone (Droid-Turbo-II) and tablet (Verizon Ellipsis-7). I have not tried downloading the new version since I don’t like to muck about with a working thing. Again – check and ask people what works if you have a concern. My final warning – communications with the vendor are almost non-existent. When I first got mine (about a year ago) I emailed them about a problem getting it to install on my tablet (which apparently isn’t listed as compatible with the software at the Google store) – and got a few brief replies. Since then – I’ve emailed asking about renewing my subscription – and have gotten no answer. Despite my “subscription” expiring – the software I originally downloaded (5 vehicle brands and the other free stuff) continues to work. It has also updated the firmware on my dongle despite my subscription being expired. What I have not done is open the store feature of it to see if there is a subscription renewal option there. I may do that sometime. Or not. Right now – it’s working fine for me.